Australian duo Slumberjack broke into the EDM scene in 2014 and since has played major festivals like HARD Summer, Electric Forest and EDC. Their Slumberjack EP hit number 2 on iTunes Electronic Charts. Signed to Mad Decent, they continue to release electronic trap style music that turns the party up. 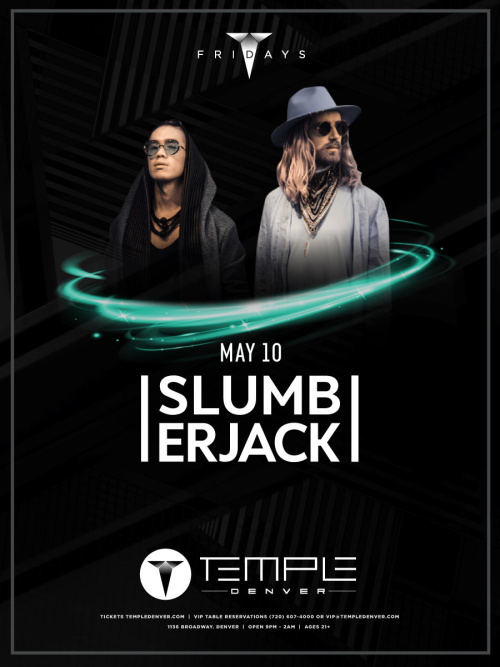 In the past year, Perth-based duo SLUMBERJACK have brought their music to new heights, turning out massive club hits like "RA" and increasing their total streams to over 40 million across platforms. During that time, musicians Morgan Then and Fletcher Ehlers have also pushed to a new level in their artistry and carved out a more boldly challenging sound than ever before.